As President Barack Obama prepares to send troops to war for the first time as commander in chief, a new report says a "game-changing" strategy is urgently needed in Afghanistan to save the faltering international campaign. "All is not lost in Afghanistan," RAND Corp. experts said in a paper being released Tuesday by the congressionally funded United States Institute of Peace. "But urgent measures - what might be called 'game-changing steps' - are now needed to stem an increasingly violent insurgency," said authors Seth G. Jones and C. Christine Fair. 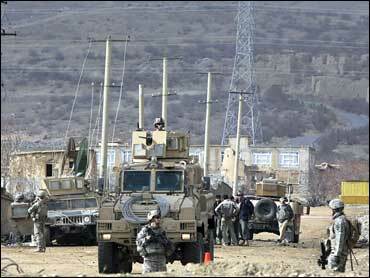 Obama has been reviewing several options for a troop build up that he and commanders want in Afghanistan. Defense Secretary Robert Gates is to sign troop deployment orders after he gets a nod from Obama. White House press secretary Robert Gibbs said Monday that Obama will make the decision shortly about how many additional troops to send to Afghanistan. "Without getting into broad timelines, I don't think this is anything that involves weeks," the presidential spokesman said, underscoring that Obama's move would come shortly. The new think tank report adds to the growing consensus among officials and private analysts that sending more troops to the now 7-year-old war will mean little without a new strategy. It faults international donors for not delivering all the aid promised. It says strategies are splintered and some efforts have been counterproductive because nations working there don't even agree on whether the biggest threat is al Qaeda, the skyrocketing drug trade, or other issues. The report says efforts to build a police force have been disappointing, and that work to disarm former combatants and militias is "all but moribund." It notes that U.S. intelligence indicates Afghan officials are involved in the drug trade; traffickers have bought off hundreds of police chiefs, judges and officials. It suggests the immediate firing of corrupt officials. "The United States and its international allies must re-examine their core objectives in Afghanistan," it said, adding that the first priority must be stopping the use of Afghanistan and neighboring Pakistan as a base for terrorist groups like al Qaeda and the Taliban. Officials also must stop hoping they can build a central Afghan government strong enough to keep order across Afghanistan, the report said. It asserted that such a goal goes against the country's history, and it recommended that tribes and local organizations must be fostered as well. "It is unlikely the United States and NATO will defeat the Taliban and other insurgent groups in Afghanistan," the report also said. So any additional troops sent should be used to mentor Afghan security forces on how to control the country themselves, it said. Identifying and narrowing the goals in Afghanistan is part of a broad U.S. government reassessment of the war effort that is under way. U.S. commanders have said they could send an additional 30,000 troops to Afghanistan this year, nearly doubling the American contingent. Gates has said two brigades could be ready to go there by spring and a third by summer. Obama is expected to initially approve only part of a military request and decide on more after that.